I love cold weather! 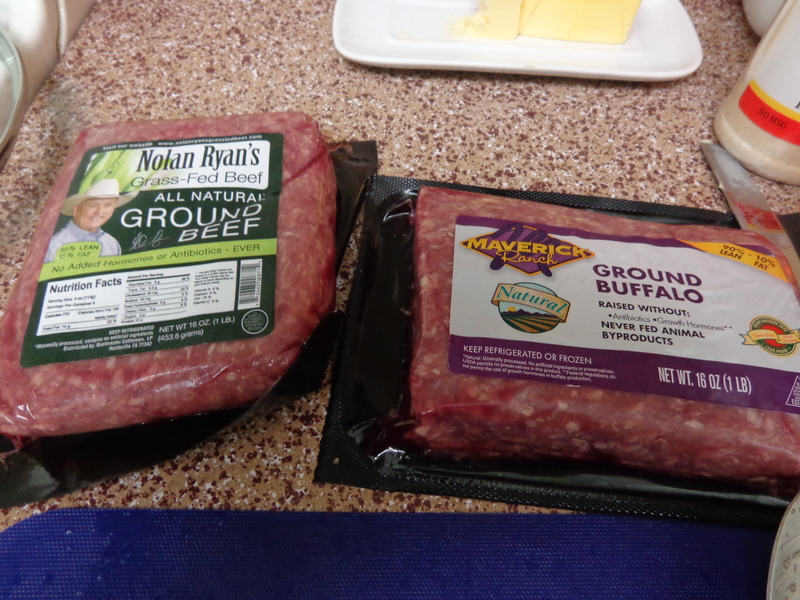 Since I live in Texas it is not common and does not last long….so I take advantage! 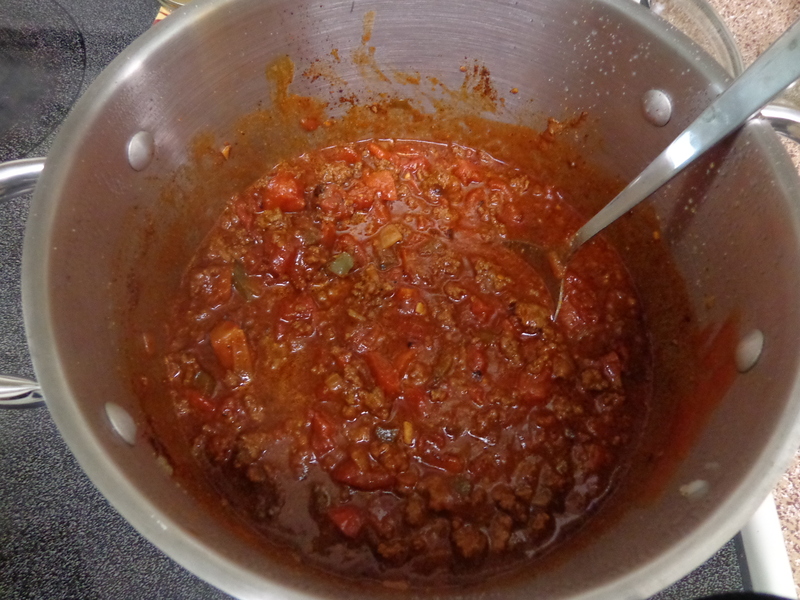 Cold weather to me equals chili! I will typically post my own recipes, however I have to give a shout out! 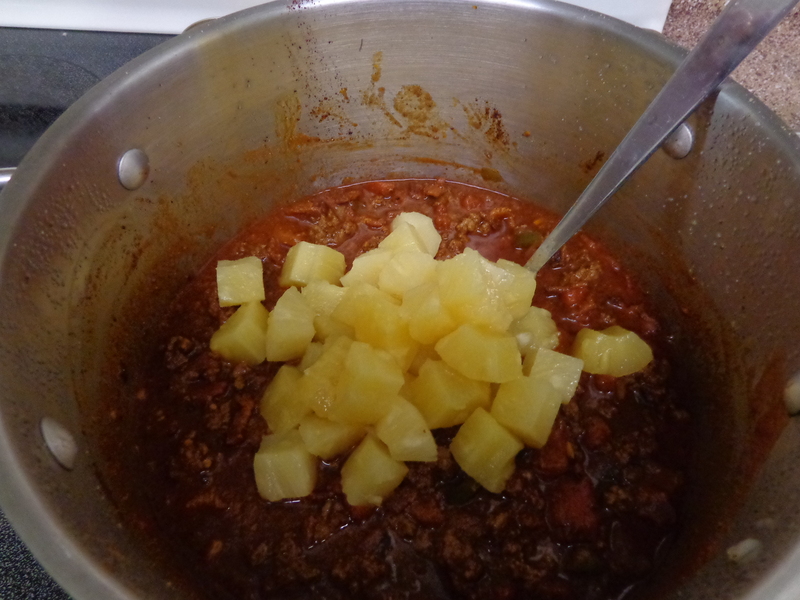 A couple of years ago or so, I found Civilized Caveman’s Spicy Pineapple Chili (http://civilizedcavemancooking.com/entrees/beef/spicy-pineapple-chili/). 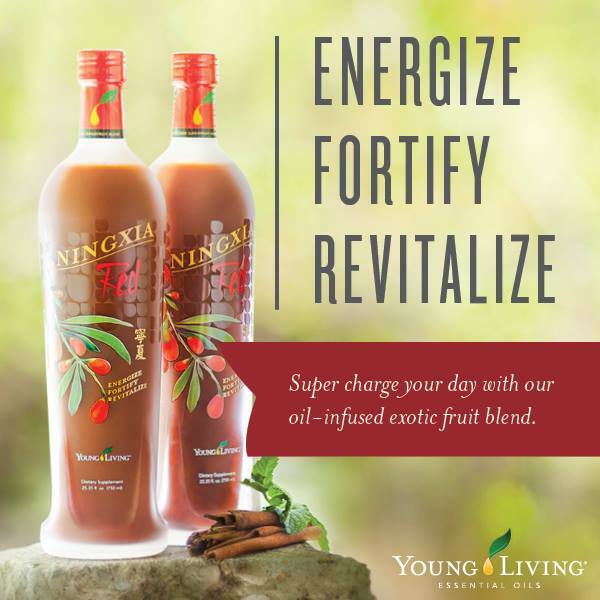 It is soooo good, so during this time of year I keep it in stock at all times. Since make it so often it changes a little each time I make it now. Ultimately, it is George Bryant’s recipe though. Here is my spin on it. 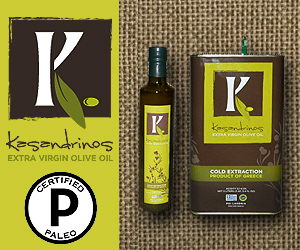 Gather all your ingredients, including a sharp knife, chopping board, a frying pan, and a large pot. 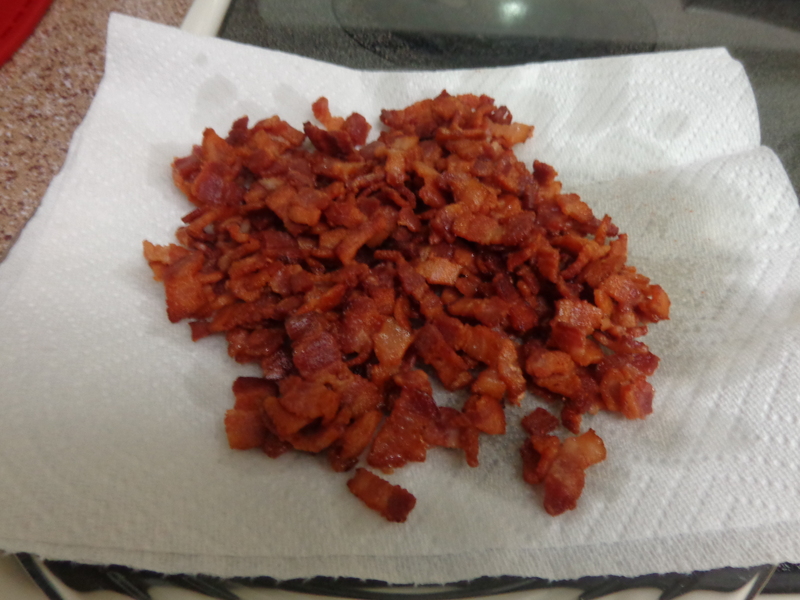 I like to cut my bacon up in small pieces, cook them up in the frying pan, after browned set aside drained on a napkin. 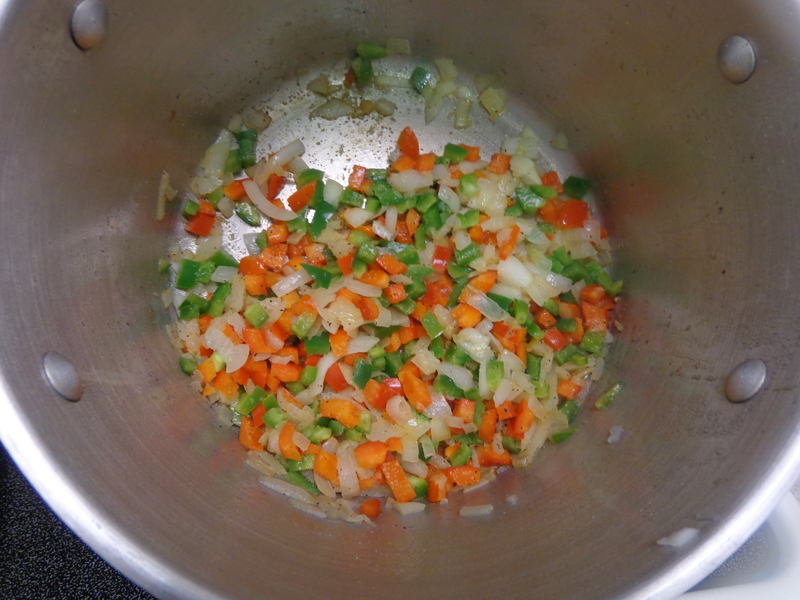 I like to use the bacon grease to cook up the diced onions and bell peppers. 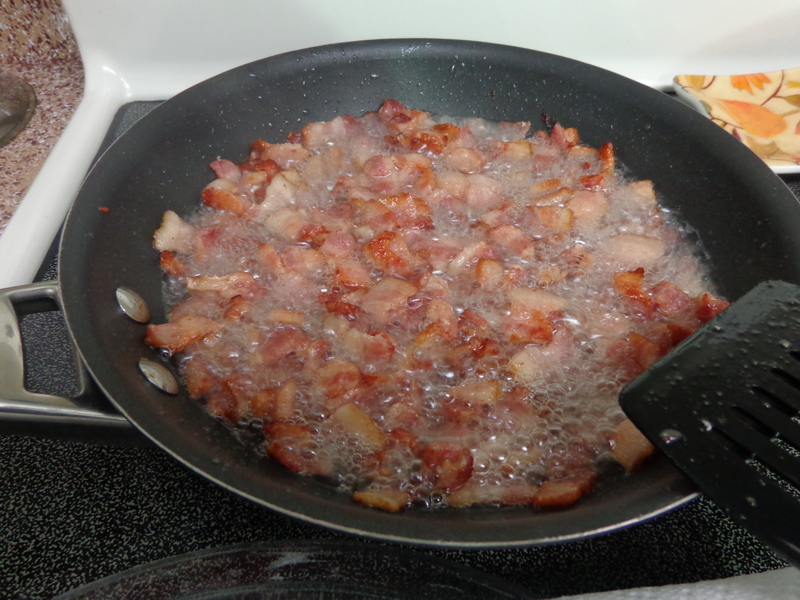 If you do not have a lot of time you can cook the bacon up while you are browning the diced onions and bell peppers in the butter in the large pot. Season them with salt, black pepper, and garlic powder. I like to use some of the Shiner bock to deglaze the pot. You could also use homemade beef broth/stock for your liquid. 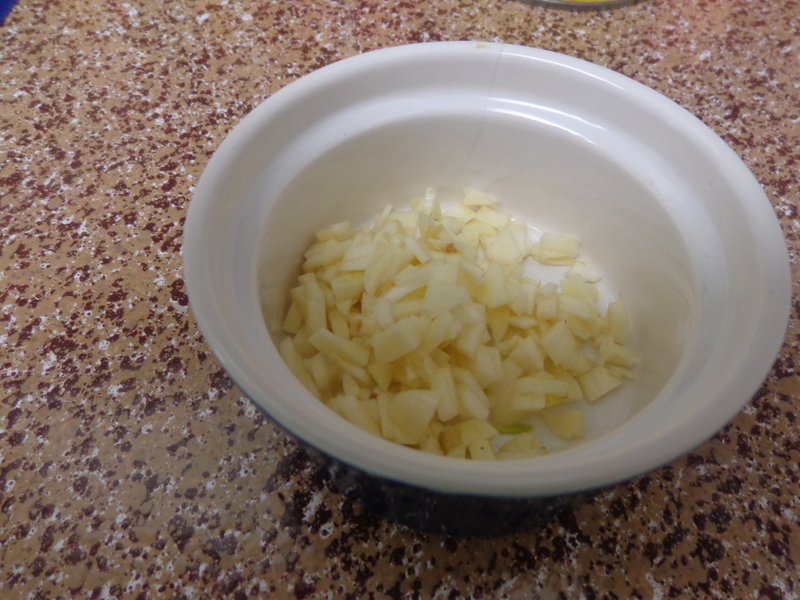 Add in the fresh garlic and cook for a few more minutes. 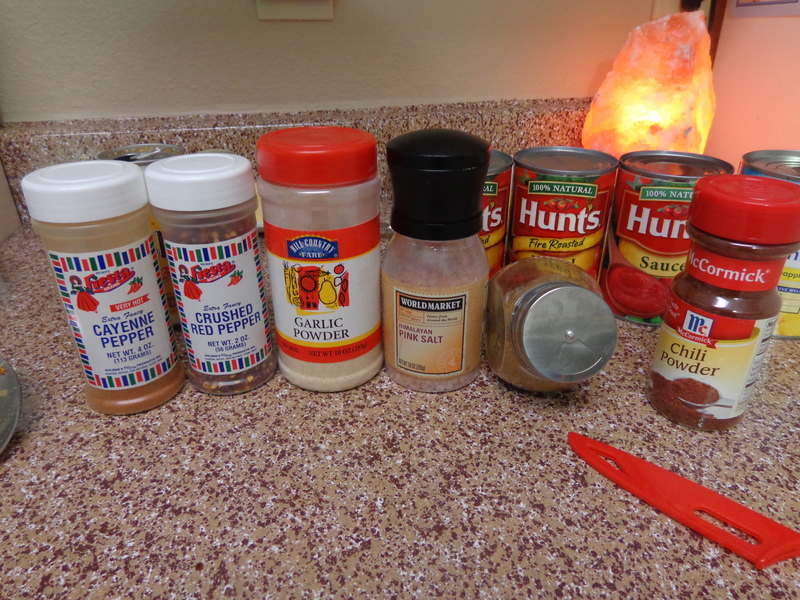 Season with salt, crushed red pepper, cayenne pepper, and garlic powder. 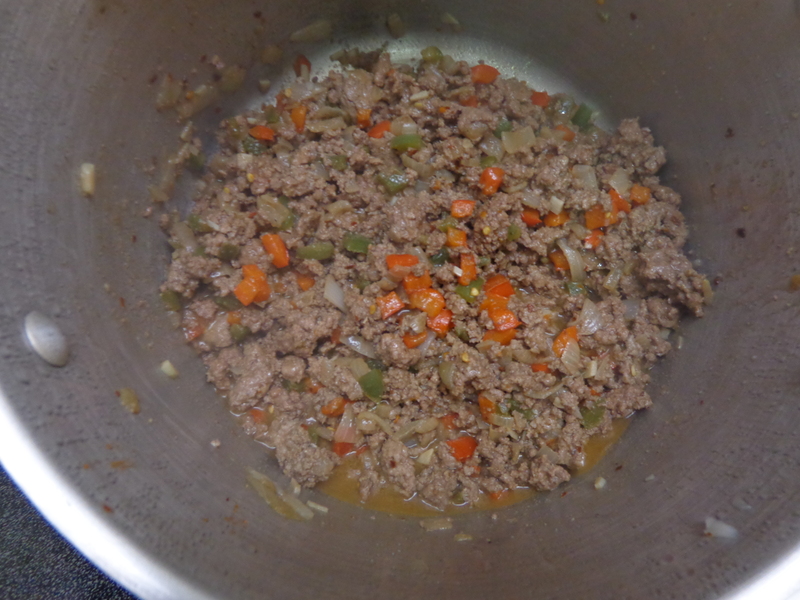 Once the meat is brown and cooked thoroughly, add in the 2 tsps of cumin and 1/4 cup of chili powder and mix until the spices are distributed evenly. Then pour in the rest of the Shiner bock. 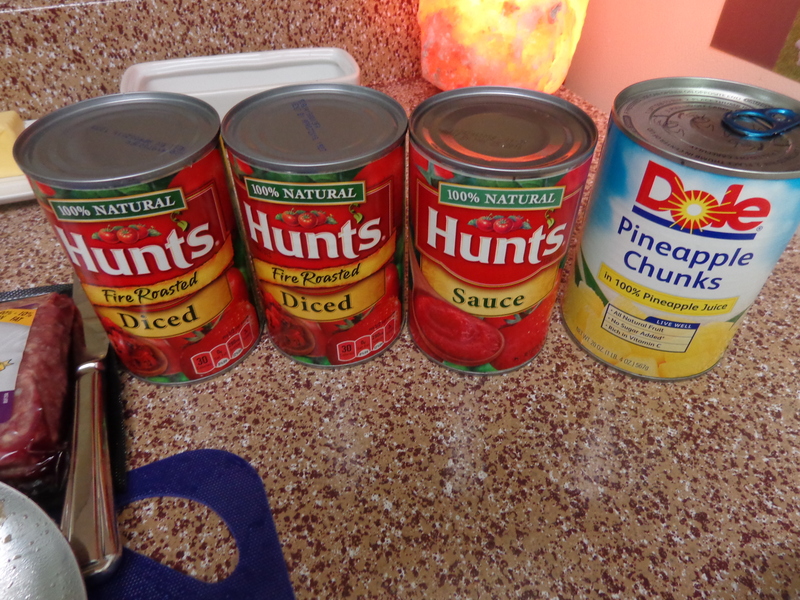 Add in both cans of fire roasted tomatoes and tomato sauce. 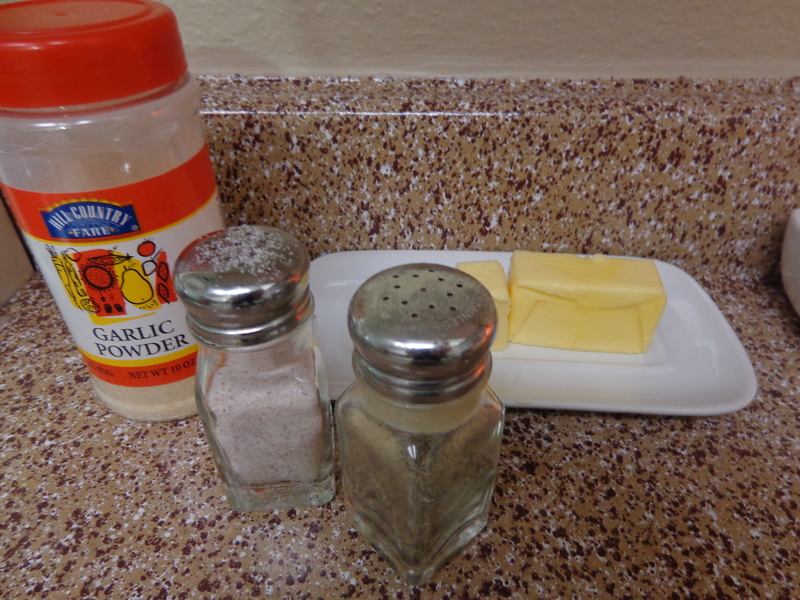 Season with a little more garlic powder, salt, and black pepper. 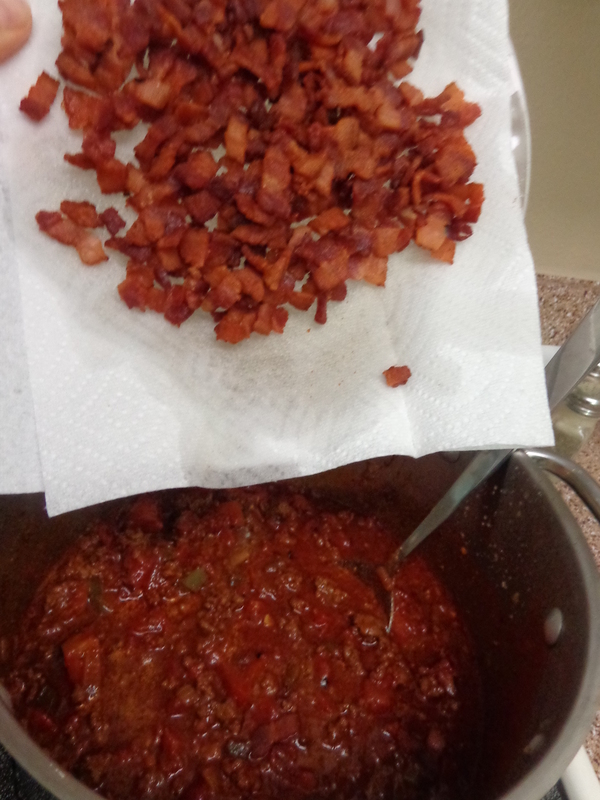 Add all the yummy bacon. Now the fun part!!! The pineapple! Drain it!!! Then dump right in with the rest. 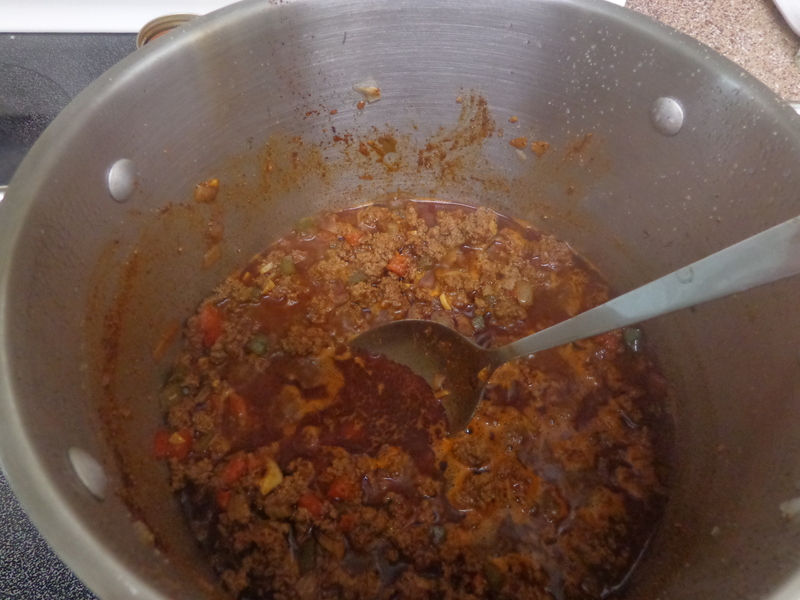 I like to allow at least 1.5 hours to simmer up to several hours. 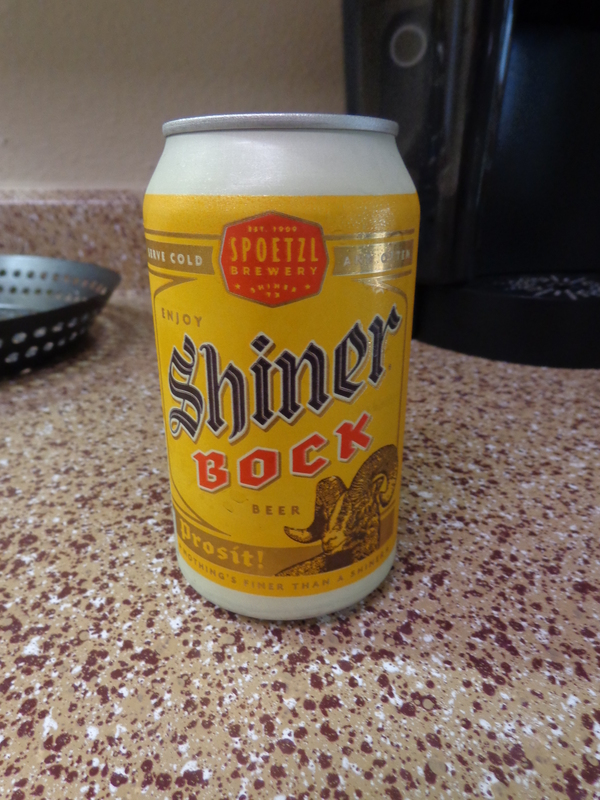 If you cook a long time you might have to add another Shiner bock as it evaporates off and still gives it flavor. 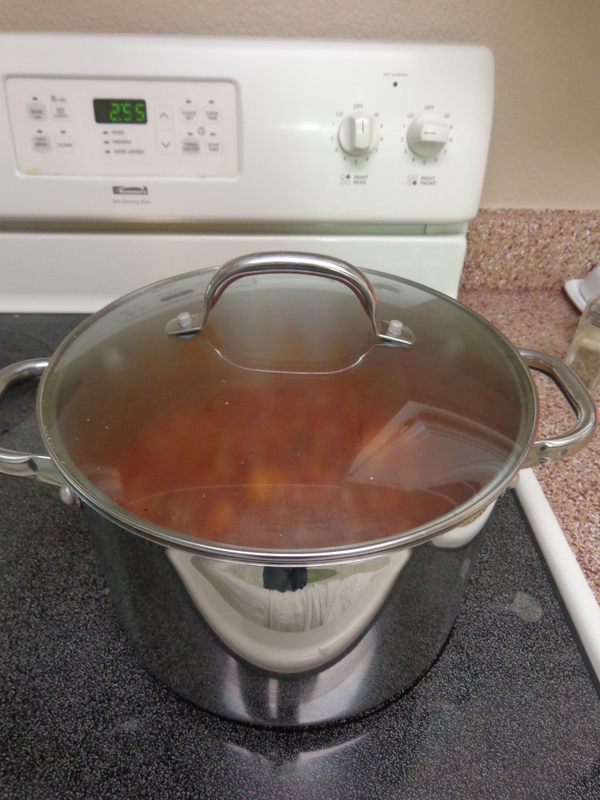 You could also use homemade beef broth/stock for your liquid if you are completely anti-beer. Even better is to cook it up for a while, let it cool down to room temperature, put in the fridge (in containers) and eat the next day. 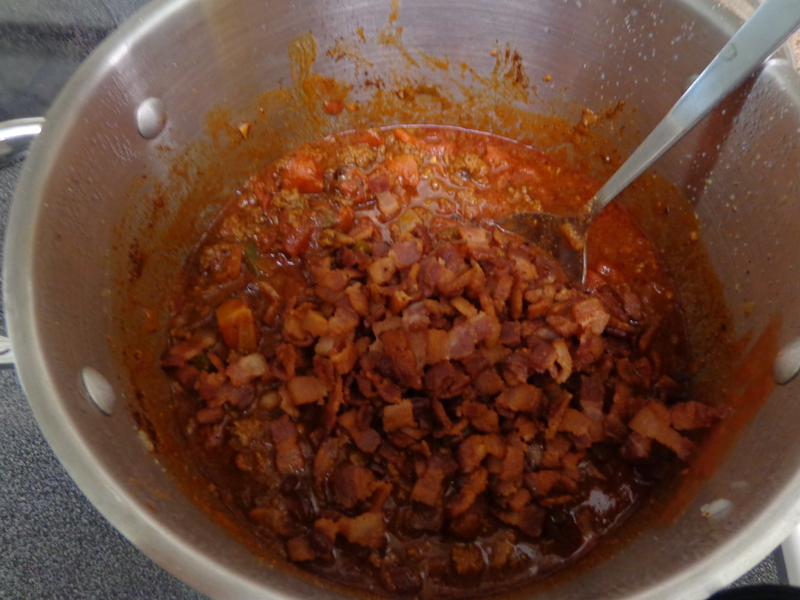 It tastes even better after allowing the flavors to set-in overnight.